Ninety-one percent: the proportion of plastic waste that has never been recycled. 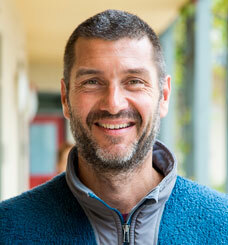 That figure, determined by UC Santa Barbara marine scientist Roland Geyer and published last year in the journal Science Advances, is the winner of the Royal Statistical Society’s (RSS) 2018 International Statistic of the Year. The 91 percent statistic was highlighted in the 2018 United Nations Environment report “Single-Use Plastics: A Roadmap for Sustainability,” which looks at the issue of single-use plastic and what governments, businesses and individuals have achieved at national and community levels to curb its consumption. The statistic’s inclusion in the report ultimately led the RSS nomination. “We’re honored to receive this recognition from the Royal Statistical Society and it’s judging panel,” said Geyer. 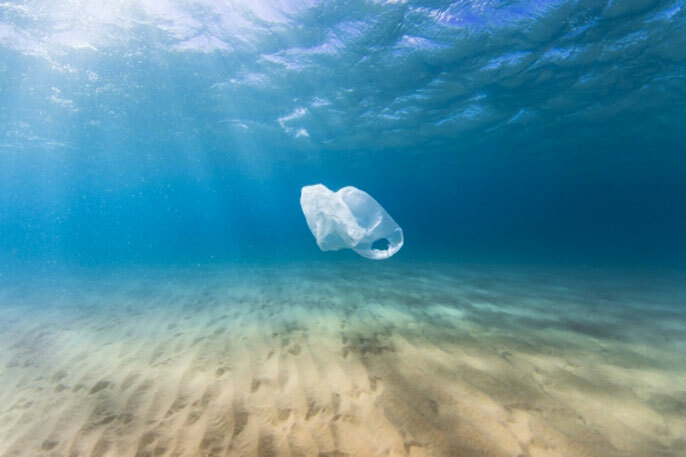 “We hope it will draw attention to the problem of plastic pollution that impacts nearly every community and ecosystem globally.” Geyer’s research team included Jenna Jambeck, an associate professor of engineering at the University of Georgia, and Kara Lavender Law, a research professor at the Sea Education Association in Woods Hole, Massachusetts. Founded in 1834, the RSS is a learned society for statistics, a professional body for statisticians and a non-profit organization that promotes statistics, data and evidence for the public good. The list of 2018 Statistics of the Year includes one winner from the United Kingdom, one international winner and eight “highly commended” statistics. Nominations are made by members of the public from around the world. Nanotechnology May Make Smart Textiles More Comfortable. Silver nanowires promise more comfortable smart textiles. In a paper published in NANO, researchers from the Nanjing University of Posts and Telecommunications have developed a simple, scalable and low-cost capillary-driven self-assembly method to prepare flexible and stretchable conductive fibers that have applications in wearable electronics and smart fabrics. A simple, scalable and low-cost capillary-driven self-assembly method to prepare conductive fibers with uniform morphology, high conductivity and good mechanical strength has been developed by a team of researchers in Nanjing, China. Dr. Yi Li and Yanwen Ma, from the Key Laboratory for Organic Electronics and Information Displays, Institute of Advanced Materials (IAM) of Nanjing University of Posts and Telecommunications and his collaborators have developed a simple, scalable and low cost capillarity-driven self-assembly route to produce silver nanowires (Ag NWs) coated flexible and stretchable conductive fibers. A simple, scalable and low-cost capillary-driven self-assembly method has been developed to prepare conductive fibers with uniform morphology, high conductivity and good mechanical strength. By coating highly conductive and flexible silver nanowires on the surfaces of yarn and PDMS fibers, high-performance fiber-shaped flexible and stretchable conductors are fabricated, which have great potential for application in wearable devices. Taking advantage of the capillary action of fibers, such as cotton, nylon and polyester yarns as well as PDMS fibers, the solution containing Ag NWs is spontaneously absorbed into the capillary tunnels. Then Ag NWs are evenly coated onto the fibers through evaporation-induced flow and capillary-driven self-assembly process to form conductive fibers, which is in situ observed by the optical microscopic measurement. The fabricated flexible and stretchable conductor exhibits uniform morphology, high conductivity and good mechanical strength, which is promising for the application in wearable electronics and smart fabrics. Conventional conductive fibers are metal wires such as stainless steel and copper wires, as well as the metal film coated yarn. These conductive fibers are stiff and brittle, not meeting the demand of flexibility and comfortability for smart textiles. Smart textiles with electronic devices such as sensor, light emitting diode, transistor, battery and supercapacitors integrated into fabrics have drawn considerable attention. Conductive fibers and yarns, with the function of connecting various electronic devices, play a key role in smart textiles system. Recently, conductive nanomaterials such as metal nanomaterials, carbon nanotubes and graphene with high conductivity, good mechanical properties, feasibility of large-scale production and solution-process, have become a new type of fundamental materials for conductive fibers. Great efforts have been made to engineer conductive nanomaterials into conductive fibers by various technologies such as vapor deposition, electrospinning and spray coating methods. Despite these promising progresses, the facile, large-scale and cost-effective fabrication of conductive fibers with high flexibility and good electrical conductivity is still a challenge. This work was partially funded National Natural Science Foundation of China and Keypoint Research and Invention Program of Jiangsu Province. Corresponding authors for this study in NANO are Yi Li and Yanwen Ma. Current climate is represented in (a), and a warmer climate in (b). As the climate warms, the mean vertical gradient in water vapor (blue) increases. Tropospheric temperature (orange shading) will also increase more than the lower atmosphere. UniqueTechnique Paves Way for Creation of Protein Nanomachines and Engineering of New Cell Functions. Proteins designed on computer and tested in the lab look a lot like DNA. The findings were published Dec. 19 in the journal Nature. Here is the paper indexed under synthetic biology. The research was performed at the Institute for Protein Design, directed by David Baker, UW professor of biochemistry and a Howard Hughes Medical Institute investigator. In the past, researchers interested in designing biomolecular nanomachines have often used DNA as a major component. This is because DNA strands come together and form hydrogen bonds to create DNA’s double helix, but only if their sequences are complementary. “This is a first-of-its-kind breakthrough," Chen said. "What we’re doing is computationally designing these hydrogen-bond networks so that each protein pair has a unique complementary sequence. There is only one way for them to come together and they do not cross-react with proteins from other pairs." 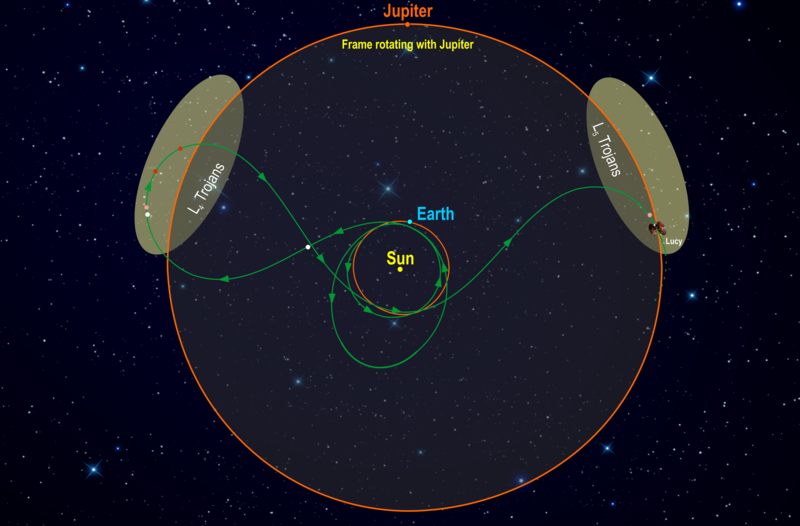 In their study, researchers used a computer program developed in the Baker lab, called Rosetta. The program takes advantage of the fact that the shape an amino acid chain will assume is driven by the forces of attraction and repulsion between the amino acids of the chain and the fluid in which the chain is immersed. By calculating the shape that best balances out these forces so that the chain achieves its lowest overall energy level, the program can predict the shape a given amino acid chain will likely take. Humans can get by in the most basic of shelters, can scratch together a meal from the most humble of ingredients. But we can't survive without clean water. And in places where water is scarce--the world's deserts, for example--getting water to people requires feats of engineering and irrigation that can be cumbersome and expensive. Drops of water collect on wax-free, water-repellant bumps on a beetle's back, then slide toward the beetle's mouth on the flat surface between the bumps. Desert grasses collect water at their tips, then channel the water toward their root systems via channels in each blade. A cactus collects water on its barbed tips before guiding droplets down conical spines to the base of the plant. Bhushan's team studied each of these living things and realized they could build a similar--albeit larger--system to allow humans to pull water from nighttime fog or condensation. They learned that conical shapes gather more water than do cylindrical shapes--"which made sense, given what we know about the cactus," Bhushan said. The reason that happens, he said, is because of a physics phenomenon called the Laplace pressure gradient. Water gathers at the tip of the cone, then flows down the cone's slope to the bottom, where a reservoir is waiting. Grooved surfaces moved water more quickly than ungrooved surfaces--"which seems obvious in retrospect, because of what we know about grass," Bhushan said. In the research team's experiments, grooved surfaces gathered about twice as much water as ungrooved surfaces. The materials the cones were made out of mattered, too. Hydrophilic surfaces--those that allowed water to bead up rather than absorbing it--gathered the most water. Scientists have long known that synthetic materials - called metamaterials - can manipulate electromagnetic waves such as visible light to make them behave in ways that cannot be found in nature. That has led to breakthroughs such as super-high resolution imaging. Now, UMass Lowell is part of a research team that is taking the technology of manipulating light in a new direction. The team - which includes collaborators from UMass Lowell, King's College London, Paris Diderot University and the University of Hartford -has created a new class of metamaterial that can be "tuned" to change the color of light. This technology could someday enable on-chip optical communication in computer processors, leading to smaller, faster, cheaper and more power-efficient computer chips with wider bandwidth and better data storage, among other improvements. On-chip optical communication can also create more efficient fiber-optic telecommunication networks. This illustration shows two incoming (red) photons being converted into one reflected (green) photon as result of light interaction with the nanowire structure in the metamaterial. The nanowires are about 100 nanometers apart from center to center, which is about one-fifty-thousandth the diameter of human hair. "Today's computer chips use electrons for computing. Electrons are good because they're tiny," said Prof. Viktor Podolskiy of the Department of Physics and Applied Physics, who is the project's principal investigator at UMass Lowell. "However, the frequency of electrons is not fast enough. Light is a combination of tiny particles, called photons, which don't have mass. As a result, photons could potentially increase the chip's processing speed." By converting electrical signals into pulses of light, on-chip communication will replace obsolete copper wires found on conventional silicon chips, Podolskiy explained. This will enable chip-to-chip optical communication and, ultimately, core-to-core communication on the same chip. "The end result would be the removal of the communication bottleneck, making parallel computing go so much faster," he said, adding that the energy of photons determines the color of light. "The vast majority of everyday objects, including mirrors, lenses and optical fibers, can steer or absorb these photons. However, some materials can combine several photons together, resulting in a new photon of higher energy and of different color." Podolskiy says enabling the interaction of photons is key to information processing and optical computing. "Unfortunately, this nonlinear process is extremely inefficient and suitable materials for promoting the photon interaction are very rare." "The enhancement comes from the way the metamaterial reshapes the flow of photons," he said. "The work opens a new direction in controlling the nonlinear response of materials and may find applications in on-chip optical circuits, drastically improving on-chip communications." Dr Richard de Visser, Reader in Psychology at the University of Sussex, said:"The simple act of taking a month off alcohol helps people drink less in the long term: by August people are reporting one extra dry day per week. There are also considerable immediate benefits: nine in ten people save money, seven in ten sleep better and three in five lose weight. "Interestingly, these changes in alcohol consumption have also been seen in the participants who didn't manage to stay alcohol-free for the whole month - although they are a bit smaller. This shows that there are real benefits to just trying to complete Dry January." Dr Richard de Visser's findings come from three self-completed online surveys: 2,821 on registering for Dry January; 1,715 in the first week of February; and 816 participants in August. A new YouGov poll undertaken for Alcohol Change UK showed that one in ten people who drink - an estimated 4.2 million people in the UK - are already planning to do Dry January in 2019. "Put simply, Dry January can change lives. We hear every day from people who took charge of their drinking using Dry January, and who feel healthier and happier as a result. "Many of us know about the health risks of alcohol - seven forms of cancer, liver disease, mental health problems - but we are often unaware that drinking less has more immediate benefits too. Sleeping better, feeling more energetic, saving money, better skin, losing weight... The list goes on. Dry January helps millions to experience those benefits and to make a longer-lasting change to drink more healthily." Signing up for Dry January increases the chance that you'll get the most out of the month. You can download Try Dry: The Dry January App to track your units, money and calories saved, plus many more features. Or you can sign up at dryjanuary.org.uk for regular support emails with tips and tricks from experts and others like you. In humans, different social groups, cities, or regions often have distinct accents and dialects. Those vocal traits are not unique to us, however. 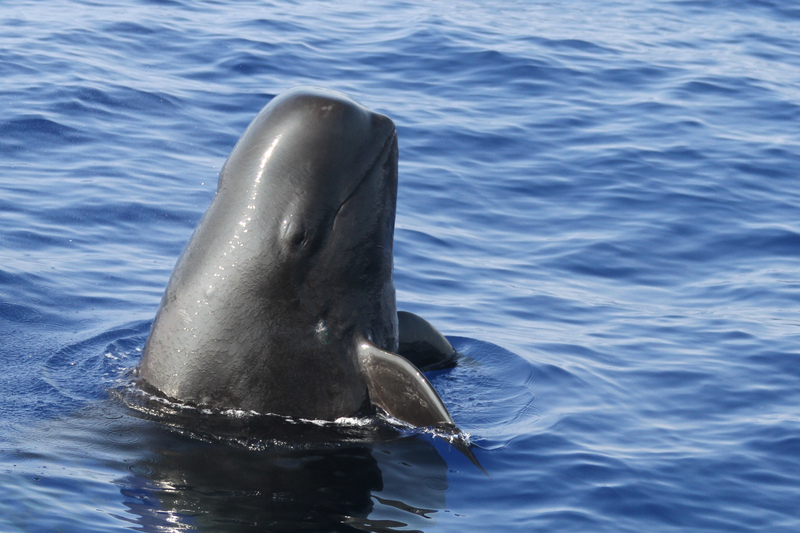 A new study from the Woods Hole Oceanographic Institution (WHOI) has found that short-finned pilot whales living off the coast of Hawai’i have their own sorts of vocal dialects, a discovery that may help researchers understand the whales’ complex social structure. The study was published on Dec. 14, 2018, in the journal Behavioral Ecology and Sociobiology. This finding could be especially important for understanding the species, since relatively little is currently known about their social behavior. In a previous 15-year study of the Hawai’ian whales, Baird and colleagues were able to photograph, identify, and categorize groups of whales, creating a database of associations. The researchers also took tiny biopsies of skin from the back of each whale they approached to gather genetic information. Based on that data, Van Cise found that the lowest and smallest level of organization, called a “unit,” of pilot whales, appears to be made up of a handful of directly-related individuals. Those units combine to form “clusters”—essentially extended family—and multiple families together make up a “community” of the whales. This study builds on Van Cise’s prior work. Over several years, she and Baird’s team took a small boat off the coast of Hawai‘i and Kaua‘i Islands in search of pilot whales, identified individual whales, and recorded their calls with a specialized underwater microphone. She also continued taking genetic samples from the animals. Once finished, Van Cise and a team of volunteers painstakingly categorized individual types of whale calls on the recordings, sorting them into distinct groups. This spectrogram shows a visual representation of three different pilot whale calls. The green stripe-like lines represent audio frequencies in each whale's ‘dialect', which subtly change from one group to another. That last part is especially important, Van Cise notes. In each family of whales, the genetic diversity between individuals isn’t large—children by necessity share many of their genes with their parents. Across the entire whale population, however, it’s a different story. For that reason, she says, it’ll be essential to conserve pilot whales at family level, rather than focusing on individuals. The groups of pilot whales all use the same habitat, but have different vocal repertoires. This means that they’re purposely not associating with each other, says WHOI researcher Amy Van Cise. Photo by Amy Van Cise, Woods Hole Oceanographic Institution. NMFS permit #15530 to Robin W Baird, Cascadia Research Collective. Also collaborating on the study were Sabre D. Mahaffy of Cascadia Research Collective and Jay Barlow of the NOAA Southwest Fisheries Science Center. Funding for the study was provided by grants from the Pacific Islands Fisheries Science Center and Office of Naval Research, as well as Commander, Pacific Fleet. SoundTrap acoustic recording equipment was purchased with funding from the SIO/NSF IGERT fellowship program. DMON data collection was funded by the Office of Naval Research, award numbers N000141110612 and N00014-15-1-2299. The WHOI Marine Mammal Center and the Sawyer and Penzance Endowed Funds also provided funding. The Woods Hole Oceanographic Institution is a private, non-profit organization on Cape Cod, Mass., dedicated to marine research, engineering, and higher education. Established in 1930 on a recommendation from the National Academy of Sciences, its primary mission is to understand the oceans and their interaction with the Earth as a whole, and to communicate a basic understanding of the oceans’ role in the changing global environment. Citation: Song of my people: dialect differences among sympatric social groups of short-finned pilot whales in Hawai’i. A team of researchers from Imperial College London, the University of Oxford, and the National Physical Laboratory have experimentally achieved a long-standing goal to demonstrate the so-called “strong-coupling regime” between light and high-frequency acoustic vibrations. The team’s research will have impact for classical- and quantum-information processing and even testing quantum mechanics at large scales. The details of their research are published today in the prestigious journal Optica. Central to the team’s research are 'whispering-gallery-mode resonances' where light bounces many times around the surface of a tiny round glass structure shown in the figure above. This phenomenon is named after an effect that was observed in St Paul’s cathedral in the nineteenth century, where one could whisper along the wall of the round gallery building and be heard on the other side. "It is fascinating that these glass ring resonators can store excessive amounts of light, which can 'shake' the molecules in the material and generate acoustic waves," said project co-author Dr Pascal Del’Haye of the National Physical Laboratory. As the light circulates around the circumference of the glass structure it interacts with an 11 GHz acoustic vibration that causes light to be scattered in the reverse direction. This interaction allows energy to be swapped between the light and sound at a certain rate. However, both the light- and the sound-fields will decay due to friction-like processes, preventing the two from dancing in step. The team overcame this challenge by utilizing two such whispering-gallery-mode resonances and achieved a coupling rate that is larger than these friction-like processes, allowing the signatures of the light-sound dance to be observed. Looking ahead, the team are now preparing the next generation of these experiments that will operate at temperatures close to absolute zero. “This will allow highly sensitive quantum mechanical behaviour to be explored and utilized for the development of quantum technologies,” said principal investigator of the project, Dr Michael Vanner from the Quantum Measurement Lab at Imperial College London. Two VA researchers have explored how memory is tied to the hippocampus, with findings that will expand scientists’ understanding of how memory works. Drs. 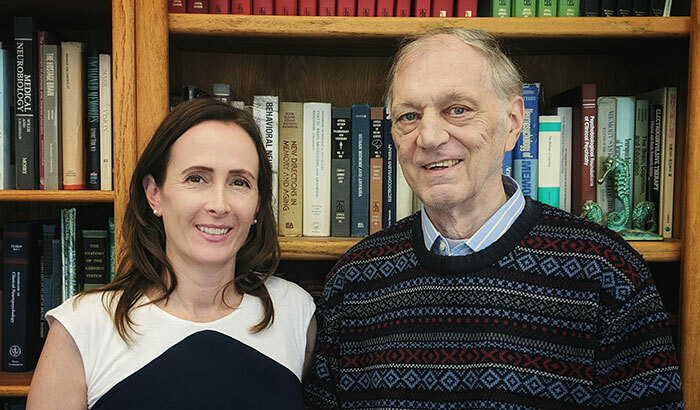 Christine N. Smith and Larry R. Squire, both with the VA San Diego Healthcare System and the University of California, San Diego, found that declarative memory—recalling facts and events—depends on conscious knowledge of what has been learned. The finding helps explain how the hippocampus controls the process of memory. They also showed that conscious knowledge is compromised in patients with damage to the hippocampus. 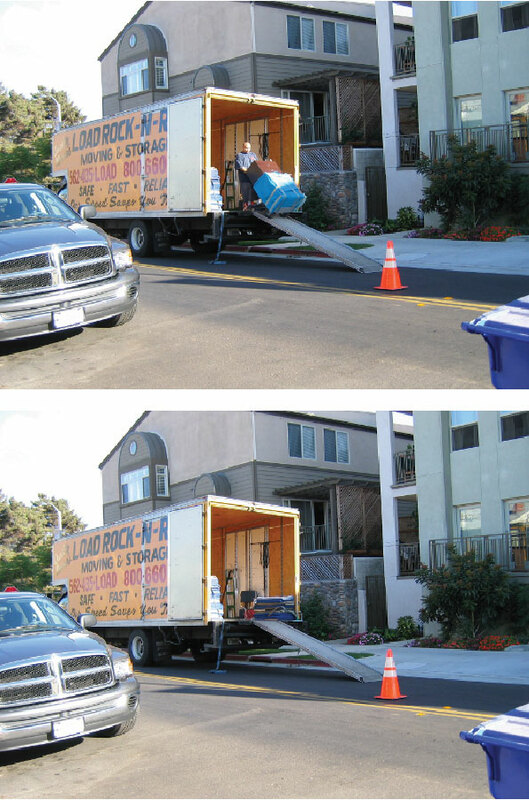 One pair of scenes used in Smith and Squire’s experiment showed a moving truck parked in front of a house. In the bottom image, the worker at the back of the truck has been removed. The results appeared in the Nov. 20, 2018, issue of the Proceedings of the National Academy of Sciences. Past research has shown that damage to the medial temporal lobe (MTL), the brain region that contains the hippocampus, can cause problems with declarative memory. This type of memory, the ability to remember information about past facts and events, has been linked to the hippocampus. It is expressed through direct recollection. Another type of memory—nondeclarative—refers to skill and habit learning, as well as and other types of learning, that are based on performance rather than recollection. Nondeclarative memory does not seem to be affected by MTL damage. For example, a person with MTL damage may still remember how to ride a bike, but might not remember what he or she did yesterday. One theory is that declarative memory is linked to conscious knowledge, or awareness of what has been learned. Another theory suggests that memory is dependent on how the brain processes information, rather than on conscious knowledge. For example, the second theory suggests that the MTL is needed when learning associations of relationships between items, regardless of whether the person is aware of what he or she has learned. To test these two competing theories, Smith and Squire recruited five memory-impaired patients with MTL lesions. The patients, with an average age of 63, had amnesia from different causes. Two became amnesic after a drug overdose and associated respiratory failure, one suffered ischemia (lack of blood to the brain) because of kidney failure and toxic shock syndrome, one had viral encephalitis, and one became amnesic with no known cause. Brain scans showed that these patients had smaller-than-normal hippocampus volume. The researchers also recruited six healthy people to serve as controls. They assessed participants’ memories using something called the manipulation effect. Participants are shown a picture they are familiar with that has either been altered in some way or remains the same. According to the manipulation effect, people will spend more time looking at the section of a picture that has been changed than at the same section of an unaltered picture. But research has shown that the manipulation effect occurs only when participants know that a picture has been altered. For the experiment, participants were shown 24 scenes for five seconds each. After a short break, they were shown the scenes again. After another break, they were shown the same 24 scenes, except that 12 had been changed and 12 remained the same. Changes were either an item being added to the scene or an item being removed. For example, in a scene of a moving truck in front of a building, the first picture showed a worker with a cart while in the second picture the worker had been removed. The process was repeated with 24 different scenes in a second session. A computer tracked eye movements to record where in the pictures participants were looking. Drs. Christine Smith and Larry Squire study memory and learning. On the shelf behind Squire is a replica of a sea horse. The brain’s hippocampus—crucial in memory—is named based on the ancient Greek term for sea horse. During the third round, participants were told to look for possible changes. They were then asked to state whether each scene was the same or changed, and to rank their confidence in that answer. Finally, participants were shown the changed scenes again and asked to describe what was changed and identify where in the picture the change occurred. The results showed that patients with MTL lesions were “markedly impaired” at telling which scenes were changed. Specifically, control participants correctly identified an average of 16.5 out of 24 of the changed scenes, and 20.5 of the unchanged scenes. Patients identified only 8.4 changes and 18.4 repeated scenes. Controls were also more confident in their answers when they were correct than when they were incorrect, while patients showed the same level of confidence in correct and incorrect answers. Both controls and patients directed their eyes toward the change only when they had robust knowledge of the change. This showed that the manipulation effect is a function of conscious memory, according to Smith and Squire. This eye movement effect suggests that conscious knowledge is an important aspect of declarative memory, and that the hippocampus supports the acquisition of this type of memory. According to Squire, adding to the understanding of how memory works could help improve how doctors diagnose and treat memory problems. “Scientists often say that we want to fix the car but it will help to know how the car works. As we learn more about memory, we move closer to being able to detect, prevent, and treat diseases and disorders that affect memory,” he explains. The work was supported by VA and the National Institute of Mental Health. Citation: Awareness of what is learned as a characteristic of hippocampus-dependent memory. Queensland Brain Institute (QBI) researchers have discovered a key mechanism in the brain that may underlie our ability to rapidly focus attention. A spotlight brings into focus the distal dendrites of a neocortical layer 5 pyramidal neuron (gold) amongst a sea of cholinergic axons (green), an allegory of the transformation of dendritic computations in the output neurons of the neocortex produced by the optogenetic activation of the cholinergic modulatory system. Credit: Artwork by Lee Fletcher, Queensland Brain Institute, The University of Queensland. It’s known that the cholinergic system in the brain plays an important role in triggering this desynchronisation. Not only does this cholinergic system act like a master switch, but mounting evidence suggests it also enables the brain to identify which sensory input is the most salient – i.e. worthy of attention – at any given moment and then shine a spotlight on that input. “The cholinergic system broadcasts to the brain, ‘this thing is really important to be vigilant to’,” says Williams. He adds that the cholinergic system has been proposed to have a far-reaching impact on our cognitive abilities. “Destruction of the cholinergic system in animals profoundly degrades cognition, and the formation of memory,” he says. But precisely which neurons in the cortex are being targeted by this master switch and how it’s able to influence their function was unknown. Williams and QBI researcher Lee Fletcher wondered if layer 5 B-pyramidal neurons, the ‘output’ neurons of the neocortex, might be involved, because they are intimately involved in how we perceive the world. “The output neurons of the neocortex perform computations that are thought to underlie our perception of the world,” says Williams. Williams and Fletcher wanted to know if the cholinergic system is able to influence the activity of these output neurons. This allowed the researchers to closely monitor the interaction between the cholinergic system and the output neurons. They discovered that if the output neurons were not currently active, not much happened. But when those neurons received excitatory input to their dendrites, the cholinergic system was able to massively increase their activity. “It’s as if the cholinergic system has given a ‘go’ signal,” says Fletcher, enabling the output neurons of the neocortex to powerfully respond. Importantly, this change was selective, and only apparent when excitatory input was being processed in the dendrites of the ‘output’ neurons. “We have known for some time that the dendrites of the output neurons of the neocortex only become active when animals are actively performing a behaviour, and that this activity is correlated with perception and task performance,” says Williams. “We suggest that this switch also occurs in the human neocortex, allowing us to rapidly switch our state of vigilance and attention,” says Williams. The findings “A dendritic substrate for the cholinergic control of neocortical output neurons” are published in the journal Neuron. Funding: Australian Research Council, National Health and Medical Research Council, and the Hand, Heart, Pocket Foundation. Citation: A Dendritic Substrate for the Cholinergic Control of Neocortical Output Neurons. Geochemical analysis of fossils suggests horses in Florida did not make epic migrations. Some zebras today trek hundreds of miles to find food and water, but prehistoric horses in parts of North America did not have to undertake epic migrations, according to a new study by the University of Cincinnati. The findings suggest Florida was something of a horse paradise 5 million years ago, providing everything horses could want in a relatively small area. UC researchers studied descendants of Eohippus depicted in this 1913 drawing by illustrator Robert Bruce Horsfall. The study was published in the journal Palaeogeography, Palaeoclimatology, Palaeoecology. It demonstrates UC's commitment to research as part of its strategic direction, Next Lives Here. UC researchers found that prehistoric horses in Florida were sedentary, much like wild horses today in Assateague Island National Seashore. Plains zebras and Mongolian wild horses take on epic migrations each year to find water or green grass. The Mongolian wild horse, also known as a Przewalski’s horse, travels as much as 13 miles per day. And Burchell’s zebras in southern Africa are known for their seasonal migrations that take them as far as 300 miles and back as they follow the rains to green grass. 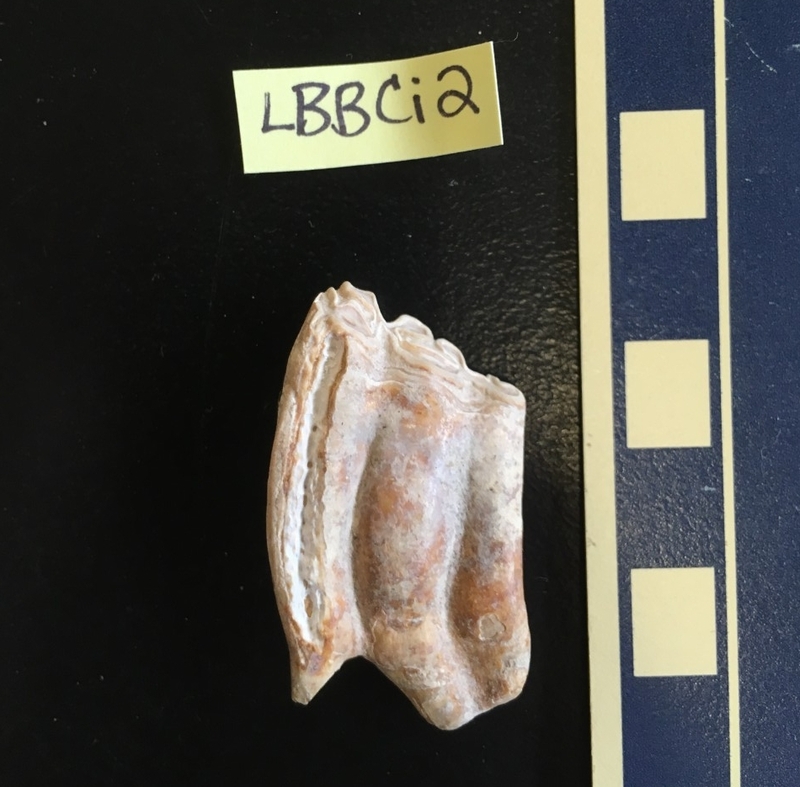 UC researchers examined 89 fossilized teeth found at excavation sites called Thomas Farm and the Love Bone Bed in Florida. The maps show how Florida's coastline has changed over the eons. But geologists in UC’s McMicken College of Arts and Sciences found that prehistoric horses in coastal Florida lived and died within a comparatively small area. “It seems that these horses in Florida were relatively sedentary. They didn’t travel far distances,” said Jenelle Wallace, a UC graduate and lead author of the study. My third spoken word after mom and dad was horse. I've loved them ever since I was little. The study was the basis of Wallace’s master’s thesis. Today, she works as an engineering geologist for the New York State Department of Environmental Conservation. UC graduate Jenelle Wallace prepares a sample in UC professor Brooke Crowley's geology lab. The world’s first horses originated in North America, lived there for 55 million years before spreading to Asia and Africa while going extinct on their home continent about 12,000 years ago. The small three-toed animals lived like antelope, browsing leaves in deep forests. But during the Miocene Period between 23 million and 8 million years ago, horse evolution exploded into 15 different families. Horses developed bigger bodies, longer legs and hard hooves in place of toes to help them cover more ground. Their teeth also changed, becoming bigger and longer for cropping coarse grass covered in abrasive silica dust instead of plucking soft leaves. It’s these teeth that helped UC researchers study how extinct horses lived. UC’s geologists compared strontium isotopes found in fossilized horse teeth to the strontium in bedrock in different parts of the American Southeast to track the horses’ wanderings. 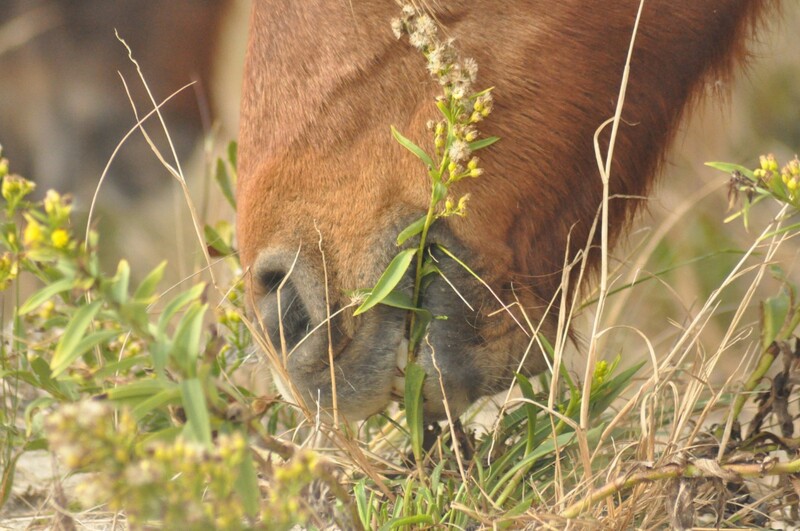 Plants such as grass absorb strontium from the earth and the horses, in turn, absorb that strontium while grazing. In this way, strontium serves as a geographic marker. 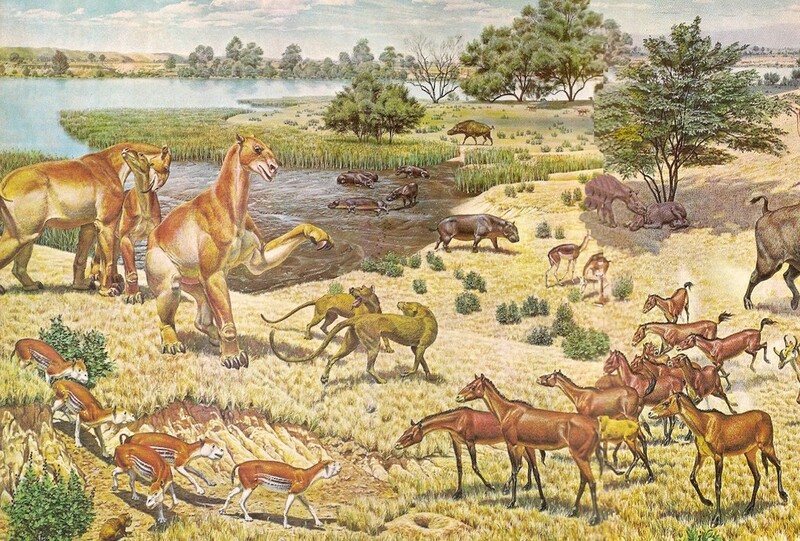 Illustrator Jay H. Matternes captured a scene from the Miocene Period as an ancient species of horse called Parahippus, lower right, interacts with other carnivores and herbivores of the time. UC geology professors and study co-authors Brooke Crowley and Joshua Miller have used this technique to track the movements of other animals, both living and prehistoric. Crowley used bones collected from the nests of secretive goshawks to map the birds’ travels in Madagascar. 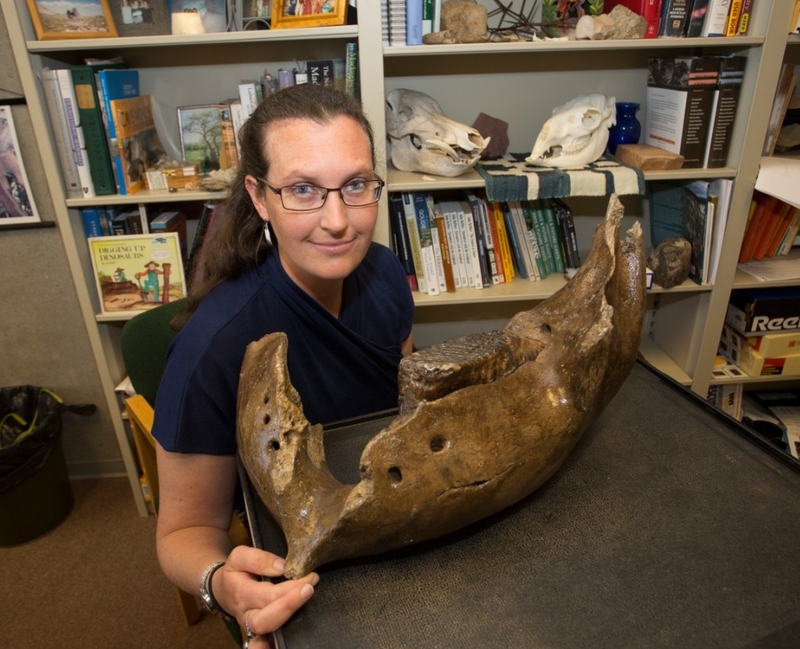 She and Miller also are studying the movement of Ice Age mastodons in North America. “There is a lot of opportunity for expanding the use of strontium to look at a variety of animal groups, time periods and locations,” Crowley said. The study examined seven species of horse along with two known leaf-eaters: a prehistoric tapir and a distant relative of elephants called a gomphothere. The results were surprising, researchers said. Of all the animals studied, the tapir seemed to have the widest geographic range based on the high variability of strontium found in its teeth. But given that modern tapirs have relatively modest home ranges, researchers said it’s more likely that prehistoric tapirs consumed river plants that absorbed nutrients carried far downstream. UC researchers examined strontium in 89 fossilized teeth excavated from two sites in Florida. Pictured is a tooth from the prehistoric horse species Cormohipparion. Among the horses, the researchers found little variation in the size of their ranges. But the strontium showed a connection between horses and the sea. 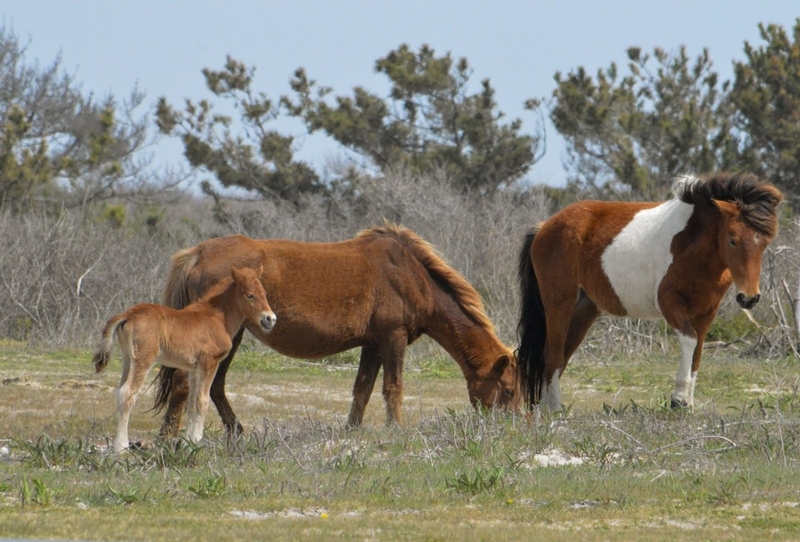 Like modern horses today in places such as Assateague Island National Seashore, prehistoric horses might have fed along the coast. Researchers suggested the vegetation horses consumed was influenced by marine-derived strontium from seaspray, precipitation or saltwater intrusion into groundwater. The study was funded by grants from the UC Geology Department, Sigma Xi, the Geological Society of America and the American Society of Mammalogists along with the Association for Women Geoscientists' Winifred Goldring Award. “The study suggests we’re not the only couch potatoes. If animals don’t have to move, they won’t,” Miller said. Migrating is dangerous business, Miller said. Animals face injury, illness and starvation when they travel great distances. And in the Miocene Period, horses had to outwit plenty of big predators such as saber-toothed cats. “The energetic costs of moving are high,” Miller said. Modern horses evolved longer teeth to crop grass covered in silica and other abrasive grit. Crowley, who also teaches in UC’s Department of Anthropology, said studies like this shed light on the habitat needs of animals long before they were influenced by human activities. Using the geologic record, researchers can piece together how animals interacted, what allowed them to thrive and what ultimately caused them to perish, she said. UC professor Brooke Crowley uses geochemistry to study prehistoric and living animals. Here she has a mammoth mandible. Citation: The hatching mechanism of 130-million-year-old insects: an association of neonates, egg shells and egg bursters in Lebanese amber. Lucicutia hulsemannae, a copepod that stays at the Lower Oxycline of the Oxygen Minimum Zone (OMZ). The organism is remarkably tolerant of extremely low oxygen levels, but very sensitive to small changes in those levels. The research team, which this week published their findings in Science Advances, found more natural variability in oxygen levels in the OMZ than previously known. This has a direct effect on the distribution of many types of zooplankton because, as the team discovered, the organisms respond to a less than 1 percent reduction in oxygen levels. While zooplankton have had millions of years to adapt to conditions in the OMZ, these low oxygen zones may expand rapidly due to climate change, leading to major unanticipated changes to midwater ecosystems. For example, an expansion of the OMZ into shallower waters may make zooplankton more susceptible to predators like fish. If this leads to a zooplankton population crash, it will have impacts all the way up the food chain. Wishner and her colleagues, including GSO professor Chris Roman and GSO marine research specialist Dawn Outram, collected their data off the Pacific coast of Mexico in January and February 2017. Brad Seibel, formerly a professor in the College of the Environment and Life Sciences when the project began and now with the University of South Florida College of Marine Science, was the Chief Scientist of the cruise. Overnight, Roman’s “wire flyer,” an ocean instrument designed to take oxygen and other measurements as it quickly oscillates up and down in the water column, was towed from the research vessel Sikuliaq for 50 kilometers. During the day, the vessel followed the same path and collected samples of numerous different types of zooplankton using a high-tech sampling net called a MOCNESS. The study was funded primarily by the National Science Foundation’s Division of Ocean Sciences. 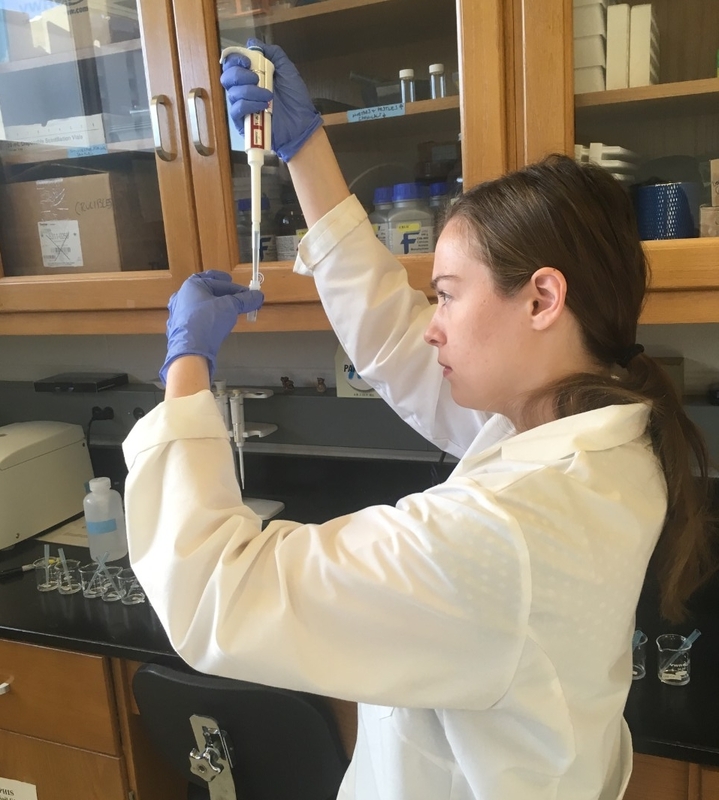 One URI undergraduate (Danielle Moore) and a Summer Undergraduate Research Fellowship in Oceanography (SURFO, URI’s NSF-funded Research Experience for Undergraduates program) student (Shannon Riley from Oregon State University) participated in the research. Citation: Ocean deoxygenation and zooplankton: Very small oxygen differences matter. In order to understand how bees count, the researchers simulated a very simple miniature ‘brain’ on a computer with just four nerve cells – far fewer than a real bee has. 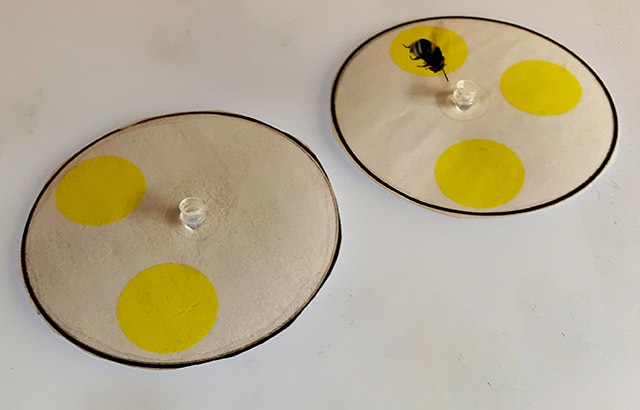 A bumblebee choosing between two patterns containing different numbers of yellow circles. Professor Lars Chittka, also from Queen Mary University of London and leader of the team in which the study was performed, added: “These findings add to the growing body of work showing that seemingly intelligent behaviour does not require large brains, but can be underpinned with small neural circuits that can easily be accommodated into the microcomputer that is the insect brain." Ankylosaurs likely regulated their body temperature with convoluted nasal passages that acted as heat exchangers between air and body, according to a study published December 19, 2018 in the open-access journal PLOS ONE by Jason Bourke from Ohio University, USA, and colleagues. This is a Panoplosaurus mirus and Euoplocephalus tutus. Credit: Bourke et al, 2018. Modern mammals and birds have long, convoluted nasal passages called turbinates that function as an air conditioner, warming and humidifying air as it is inhaled, and cooling and drying exhaled air to prevent water and heat loss. Although these structures are typically not preserved in the fossil record, convoluted nasal passages resembling turbinates have been discovered in fossils of ankylosaur, an armor-plated herbivorous dinosaur from the Cretaceous. Based on anatomical evidence, Bourke and colleagues had previously suggested that the ankylosaur's nasal passage was an efficient heat exchanger. In this study, the team used computer simulations to test this hypothesis in two ankylosaur species: Panoplosaurus mirus and Euoplocephalus tutus. Computational fluid dynamic (CFD) analyses were conducted on 3D digital reconstructions of the fossilized nasal passages to simulate airflow and transfer of heat between air and body. Heat recovery in Panoplosaurus and Euoplocephalus during exhalation simulations resulted in energy savings of about 65% and 84%, respectively, which is comparable to values measured experimentally in modern animals. The nasal passages of Euoplocephalus may have been more efficient heat exchangers due to the animal's larger body size. The authors conclude that elaborate nasal passages likely allowed ankylosaurs to regulate their body temperature by acting as heat exchangers between air and body, similarly to respiratory turbinates in modern mammals and birds. Bourke adds: "The large body sizes of dinosaurs like ankylosaurs, would have worked great for retaining heat, but they would also have put the small brains of these dinosaurs at a constant risk of overheating. Ankylosaurs appear to have solved this problem by greatly stretching out and coiling their nasal passages within their skull, allowing them to cool down blood destined for the brain and providing an effective air conditioner for their heads."